Before 1886, the world was a lot less connected. The way humans lived, worked, and interacted were bounded the limits of how far their legs or their beasts of burden could take them. Karl Benz might not realize the full implication of his 1886 Benz Patentwagen, but it set in motion the steps that would revolutionise our world, allowing humans to overcome the limits of our ability to travel, and along the way pushed civilization into the modern era. But they never stopped there. That high-watermark has consequently been followed up by over a century of innovation, measured evolution, and in the most decisive of times – a revolution of thought, design, and technology. Every few decades, Mercedes-Benz had reinvented the car to meet the needs of its time. In 1886, it was personal mobility. From the '70s to the '90s, it was road safety. 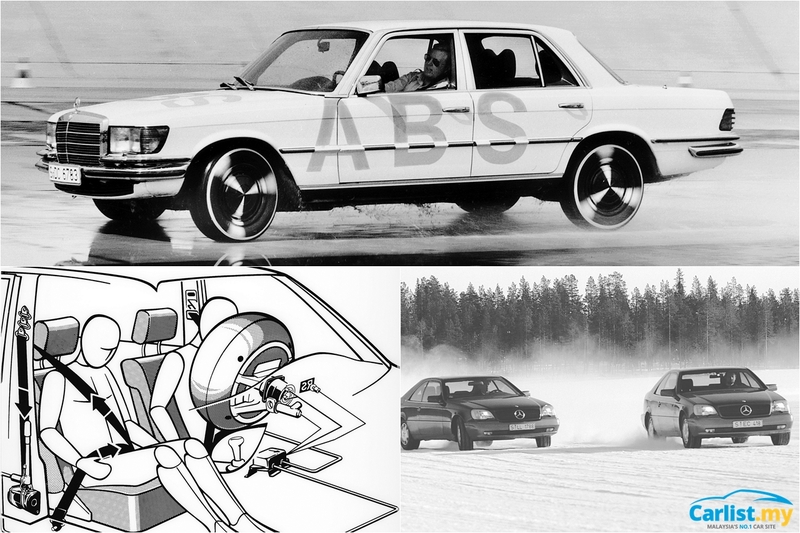 Mercedes-Benz stepped in by offering the world’s first ABS in the W116 S-Class in 1978, the world’s first airbag in the W126 S-Class in 1981, and in 1995, the world’s first Electronic Stability Program (ESP) in the W140 S-Class. The first-generation (W168) A-Class introduced an innovative ‘sandwich’ body construction that, in the event of an impact, pushed the powertrain under the passenger cell, offering occupant protection that was comparable to an S-Class of its era. Now, at the cusp of yet another technological revolution – one fuelled by the advent artificial intelligence (AI) and high-speed mobile Internet – the company that invented the car is now reinventing it one more time. How we live and work today is worlds apart from that of our parents, nevermind Karl Benz. Physical limits are no longer a barrier. We all work collaboratively in the virtual world, likewise our social habits. The car was primarily (and still is) what we used to go to our places work, and to meet our friends - but we are also doing all of these over the Internet, more than ever before. So shouldn’t a car also transcend physical barriers and be just as integrated to the digital space as we do? At the centre of this evolution is the Mercedes-Benz User Experience, or MBUX. MBUX a first-of-its-kind infotainment centre that integrates Artificial Intelligence (AI) to enhance the connection between man and machine. Gone are the days of buttons and knobs to augment the car’s functions – a millennial era Mercedes-Benz owner will simply speak to the car “Hey Mercedes,” and tell it to close the sunroof, play your favourite song, turn-up the air-conditioning, find the nearest ATM, sync your calendar and have your car plan the route to your next appointment. As impressive as the natural language voice control is, MBUX does a lot more than just taking orders from you. 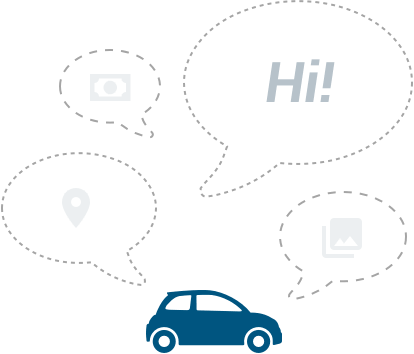 MBUX learns the habits and preferences of the driver, which then allows it make recommendations on music and even travel destinations to the driver. It knows what time is your next appointment and the traffic conditions heading there, before sending a reminder suggesting the right time to leave. The car is now more than just about wheels and engines. It's also your personal assistant. It’s a massive departure from the existing COMAND system adopted in existing Mercedes-Benz models. 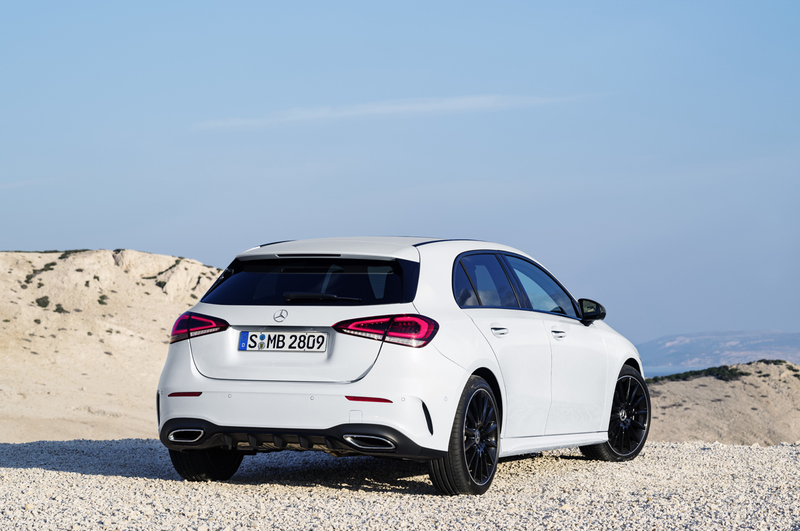 MBUX will be making its local debut in the all-new W177 Mercedes-Benz A-Class, which will be launched in Malaysia later this week. We had an opportunity to sample the new MBUX system during a preview with a European-market A-Class in Croatia earlier this year, and yes the system works as claimed. For starters, anyone that is familiar with a modern day smartphone or tablet should find themselves right at home with the new MBUX system. Greeting you, the driver, is the homescreen.  Think of it as the homescreen on your smartphone, with equally customizable icons that represent the main applications like telephone, navigation and radio plus vital information like arrival time, distance or current song being played. Entering each application presents us with the basescreen, which shows the controls for each application. Here, important information is grouped at the bottom edge of the display. Thanks to the optional dual 10.25-inch displays, drivers can have their navigation data relayed to them directly on the instrument cluster. 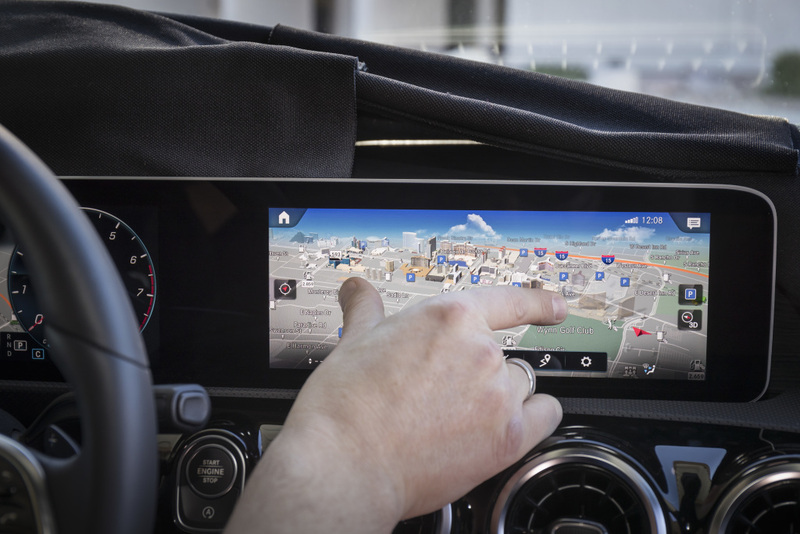 If that is not enough, one party trick of the MBUX system is its ability to utilize its front camera to display navigation information overlaid onto a live view of the road ahead - yes, augmented reality is now available in a Mercedes-Benz. All of this is driven by some fairly capable hardware, featuring a custom nVidia GPU, a six core CPU, and 8GB of DDR4 RAM. 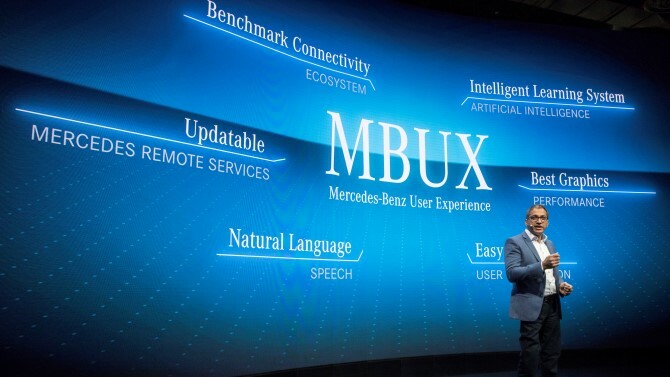 Mercedes-Benz also pointed out that MBUX is built on a Linux fork, with the company owning the rights to the source code, ensuring its security. To further cement its security, MBUX also features a firewall to prevent unauthorized access. In order to keep the system up-to-date, MBUX can be updated via over-the-air (OTA) updates, via USB, or through Mercedes-Benz’s official service centres. These updates aren’t just limited to MBUX, as it can also update the ECU or TCU software, if necessary. Experiencing it while driving, the screen’s pixel density of 200 dpi means the visuals are of very high quality.  Animations are also fluid, further enhancing the overall user experience. 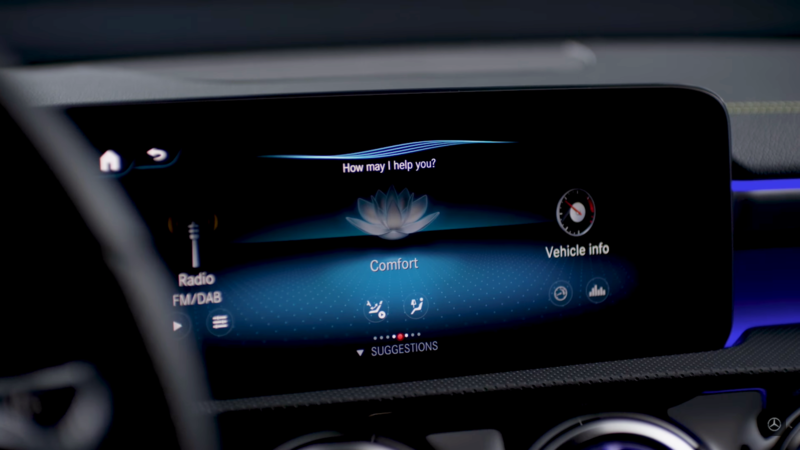 The MBUX’s user experience is further enhanced by its integration with the car itself, as Mercedes-Benz said that the system can monitor the car’s status, including battery levels, coolant levels, and lock status of the car. One interesting feature we noticed on the MBUX system is the absence of the traditional USB connectors (Type A), replaced by a number of USB Type-C connectors which Mercedes-Benz engineers reckon is more durable as there's no need for correct orientation for such ports. When launched here, MBUX will set a new benchmark when it comes to vehicle infotainment systems, bringing with it powerful hardware, scalability, and most importantly, ease of use. 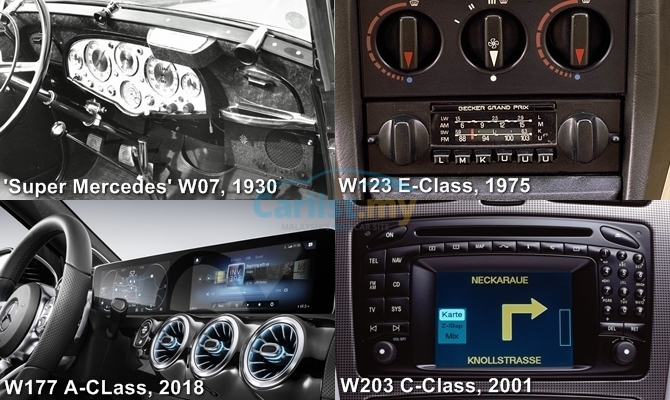 It is not easy to balance all three criteria into one infotainment system, but Mercedes-Benz has done just that. As we move into the next decade, it is safe to say that autonomous and more intelligent cars will be the staple of the new motoring world, and AI-powered voice command systems will eventually change the way we manage things. Like the Benz Patentwagen all those years ago, we are at the cusp of technological renaissance that isn’t coming, but is already here. Check this site again on Thursday night for more updates on the all-new Mercedes-Benz A-Class. Better still, be among the first to experience the all-new A-Class by signing up for the Mercedes-Benz Urban Hunting Festival happening this weekend. Details in this link.